These busy little creatures are dung beetles, and are synonymous with Addo Park. It is cute to see road signs all over the place warning motorists not to drive through elephant dung, and stating that dung beetles have right of way on all roads! Addo Elephant Nationl Park is only 40 minutes from home, so it is the ideal spot for a short weekend getaway. Yay Yippee Yay!! It is appropriate to feature a photo from Central today, because last night saw the inaugural meeting of the Central Sector Crime Forum. It was well organised and a strong and committed committee was chosen, with the aim of eradicating crime and grime in the area. The Chairperson is Ken Denton, who owns the majority of the buildings in the area. We are really optimistic about this initiative, and wish them all the best in their endeavours to reclaim our historic gem of a suburb. We have featured Havelock Square in Central before. 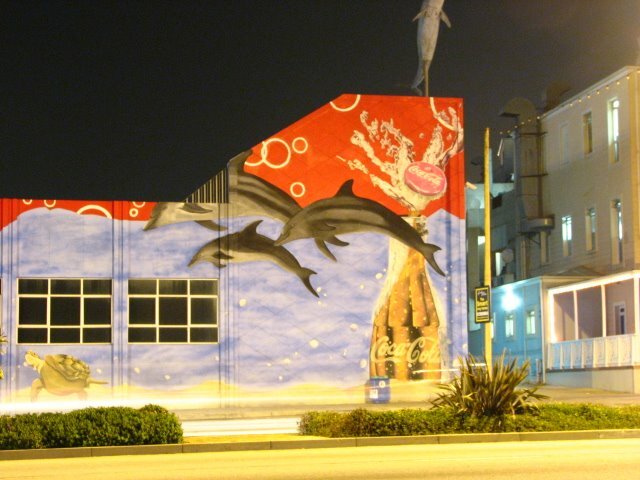 It is one of the picturesque and vital little green areas in the heart of the city. 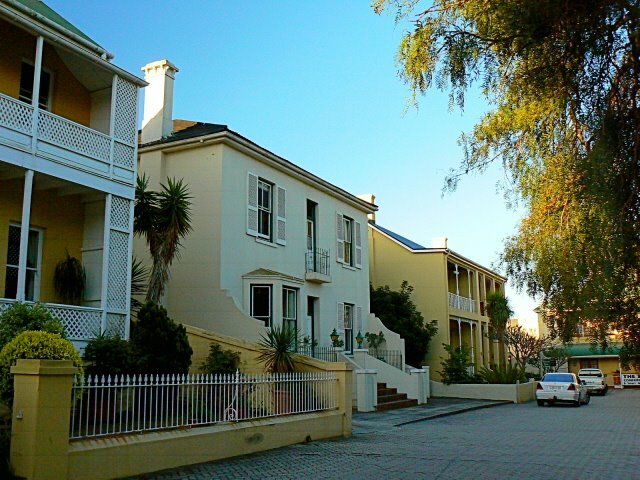 This is a view of some of the lovely old villas that surround the square. 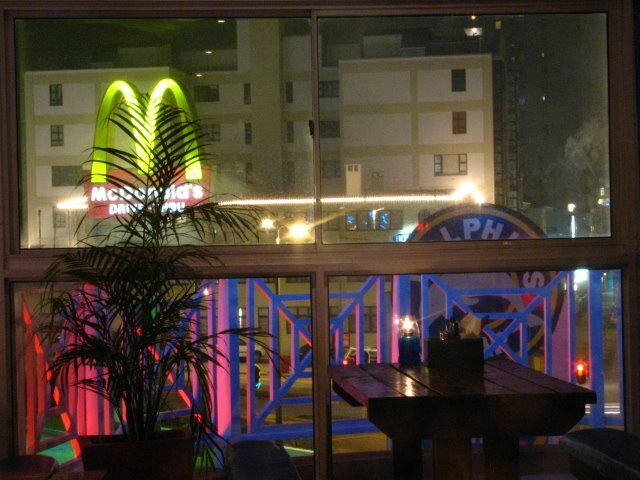 The ubiquitous MacDonald's golden arches create an abstract pattern with the colourful lights reflecting on the railings of the Dolphins Leap Centre at the beachfront. This shot was taken by our son, from the balcony of The Mediterranean, one of our favourite seafood/sushi hangouts! 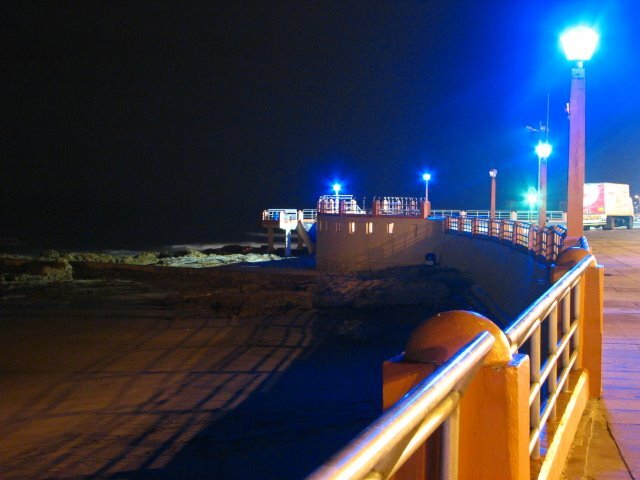 While we are hanging around the beachfront at night, here is a view of the promenade at Humewood, taken by our son on one of his visits home. Is the sun setting on PE's dolphin shows? There is much debate at the moment... our two remaining Indian Ocean Bottlenose dolphins, Domino and Dumisa, are terribly inbred, and HAVE to be separated before young Dumisa (Domino's daughter and sister!) reaches breeding age, which is due soon. There have been debates raging about the viability/ethics of capturing a wild dolphin to add to the gene pool, but as yet nothing has been decided... so the future hangs in the balance for this popular PE attraction. People from overseas, who visit South Africa for the first time, are often surprised at how Westernised and 1st world our main cities are. But don't despair, around the next corner, you may come across a sight like this and be reminded that you are indeed in Africa! You feel like you have entered a time warp, the pace of life for these guys ambling down the street is so different to that of the motorists behind them, huffing and puffing about being slowed down in their frantic rush to get wherever they are going! 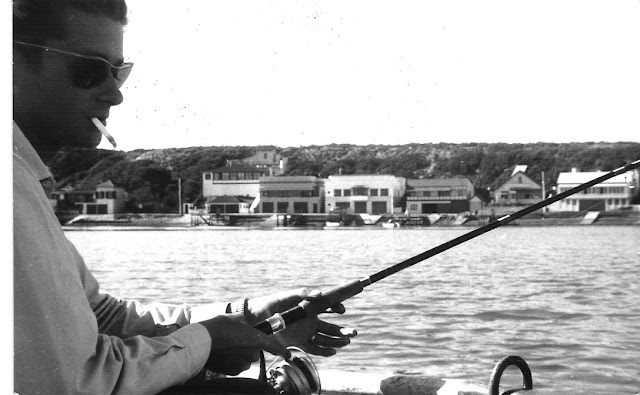 Personally I love the reminder that life wasn't always about deadlines and tight schedules! Another of the wonderful wild animals to be found at the Kragga Kamma Game Park is this cheetah. 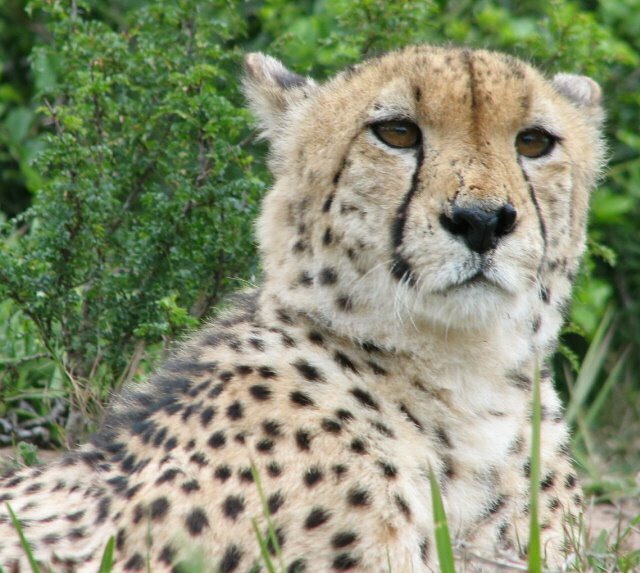 To be honest, he is not as wild as he looks, and cheetahs from this Park have appeared in a number of movies, including the brilliant Duma, one of our favourites. One of the cool things about Port Elizabeth is that we have a number of Game Parks and Lodges within the city limits, where you can experience the wonders of African wildlife, without travelling too far. 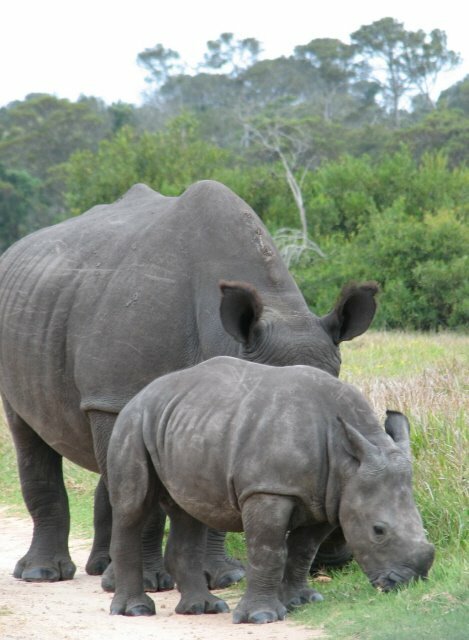 This mommy rhino and her baby live at the Kragga Kamma Game Park. Two of the busiest art galleries in PE are currently holding their final exhibitions, before closing. The delightful Cuyler Street Gallery, owned by Tossie Theron, has been doing great things for PE artists for the past 13 years. Tossie is taking a well earned rest, and has sold the gallery to the owners of the Ron Belling Gallery, who apparently plan to keep it as a gallery, and open a coffee shop there too. On the other side of town, Heidi and Frans, of the Kuhne Boekkooi Gallery in Charlo, are relocating to Nieu Bethesda in the Karroo, and tomorrow will be the last day that the gallery is open. It is sad to see them go, but Heidi will be continuing to promote the arts with her digital newsletters. Fishing boats viewed from the deck at the Oyster Catcher Restaurant at the Port Elizabeth harbour. As far as restaurants go, the Oyster Catcher has a great ambience, which is unfortunately spoilt by poor service. As a customer one does not expect to be kept waiting for an interminable period before being served, then when your food finally arrives and the hunger pains are gnawing at your innards, having to wait for the cutlery, which the waitress painstakingly wraps in a serviette. The wait is extended while she pauses to chat to her collegues and the food gets cold and congeals on the plate. No one seemed to have any interest in removing the glasses and bottles that accumulated in vast numbers on the table. As most of our group were finishing their meal, the last person received his food. But for good company and a good view I may not have stayed as long as I did. Com'n Oyster Catcher you can do better than that.